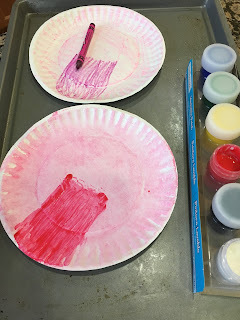 Maggie's Big Home: Dental Health Month - Art Fun! What better way to celebrate Dental Health Month than with a meaningful art activity! Begin by asking children to examine their mouths while looking in a mirror. Have them describe what they see. Children can practice math concepts by counting teeth. Give children a small paper plate as shown above. You will see that we like to keep things tidy by doing art projects within the confines of a cookie sheet. 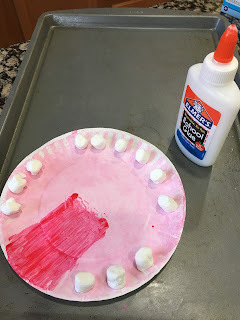 This keeps the mess contained and allows children to organize materials. 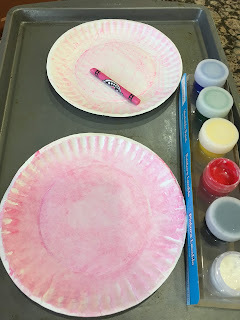 Children can color or paint the paper plate pink. Then have them use red to make a tongue. Let them glue miniature marshmallows in their paper plate mouth to represent the number of teeth they have on that day! 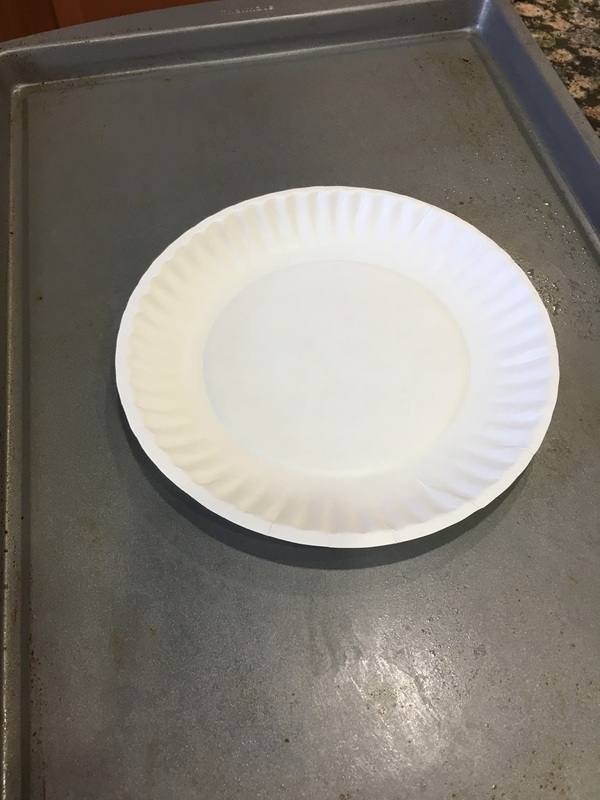 Finally, ask children to fold their plate to make their creation look like a mouth! Of course, you will want to finish by talking about the kinds of foods that are not healthy for teeth - like marshmallows! 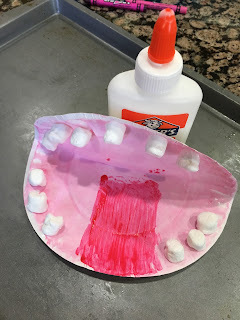 Think about all of the skills you are encouraging: observation, fine motor (coloring, painting, and use of a glue bottle), one-to-one correspondence in math, along with verbal skills as children discuss their teeth. NAEYC - 2.C.03, 2.F.02, 2.J.05, 2.K.01&02. Head Start - I.A, B, & D; III.C; VIII.B; X.A.